What loneliness is trying to tell you? There is more than one type of loneliness. As many as one in five people may be experiencing harmful Loneliness. Like other emotions, loneliness can sometimes be a good thing and other times be a significant emotional disturbance. 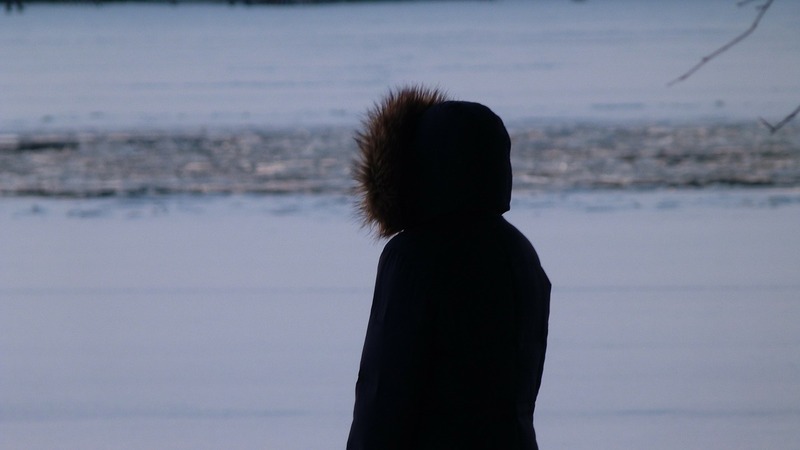 Recently researchers examined harmful loneliness, its impact on psychological health and its connection with early childhood trauma. Loneliness is not one of those disorders for which we have a test. The only way to measure loneliness is by personal report. While loneliness can cause significant mental health issues, the way the professional knows the client is lonely is when the client says they are lonely. People who are low in loneliness. Some people report little or no Loneliness. These people are generally satisfied with both the quality of their relationships and the quantitative of relationships they have. In a survey of the general population, close to 60% of people reported that they rarely felt lonely. Social loneliness is a result of not enough personal contact. Approximately 8% of people report having social loneliness. They are satisfied with the quality of the relationships they do have but feel they don’t have enough close relationships. Social loneliness is sometimes seen as a helpful thing. It tells you that you don’t have enough contact with other people and you need to expand your social circle. Emotional loneliness is the result of poor-quality relationships. Approximately 25% of people report being emotionally lonely. They have enough friendships and other social relationships but are frequently dissatisfied with the quality of their close relationships. How supportive your close relationships are, determines whether feelings of loneliness may result in emotional issues. Some people are both socially and emotionally lonely. About one in eight people report that they are unhappy with their close relationships and that they also do not have enough friendships and other social relations. People with both types of loneliness are also more likely to have been the victims of trauma and to report Trust issues. Who suffers the most from loneliness? A little more than half the people in one survey reported that they were rarely lonely. They were neither socially nor emotionally isolated and lonely. Loneliness had the least impact on these people. People who had good close relationships, but not enough social contact were slightly bothered by their loneliness. People who had social relationships but were unhappy with their close personal friendship were more likely to suffer from the ill effects of loneliness. Those people who were most likely to report suffering because of their loneliness were those who are both socially and emotionally lonely. People who were either emotionally lonely or both socially and emotionally lonely are much more likely to suffer from depression, anxiety, and were more likely to have another emotional disorder. People who had been the victim of an early childhood trauma were far more likely to report poor quality personal relationships and resulting emotional loneliness. Having high quality close emotional relationships is most likely to buffer someone from the ill effects of loneliness. Not feeling close to your romantic partner or your family is most likely to create the kind of negative loneliness that is harmful to your mental health. If you are bothered by loneliness, ask yourself whether it is the result of too few friendships or not feeling close to your partner or family. Improving the quality of the relationships you do have is most likely to reduce your loneliness. If loneliness is dragging you down, consider getting professional help. Professional counseling can help you improve your part of the relationship and couples, or family counseling may help improve your close relationships. Four David Joel Miller Books are available now! Planned Accidents The second Arthur Mitchell and Plutus mystery. Sasquatch. Wandering through a hole in time, they encounter Sasquatch. Can they survive? For these and my upcoming books; please visit my Author Page – David Joel Miller Books are now available on Amazon, Kobo, iBooks, Barnes & Noble, and many other online stores. Where you live can make you lonely. Where do you think people, are most likely to be lonely? When I saw the research on location and loneliness, I was surprised. It seemed logical the people who live in remote, rural areas would have less human contact and would be lonelier. That’s not what the research showed. The highest rates of loneliness are reported in crowded, urban areas. It’s not surprising then that with more than half the world’s population living in large cities loneliness is on the rise. Here are some of the reasons we think people who live in large cities experience more loneliness. Not knowing people in the neighborhood makes you lonely. One of the common complaints about small towns is that everyone knows everyone else’s business. It’s harder, maybe impossible, to be anonymous in a small town. The upside of having everyone else know about you is that you know about them. In a large city, you may live in an apartment for years and never get to know other people in nearby apartments. That lack of connection results in loneliness. One cure for loneliness is to frequent places where people know your name. Lots of crime around you increases loneliness. If you live in an area with a high crime rate, you avoid other people. In cities with high murder rates, people stay indoors at night. If you believe you live in a high crime area, you are likely to stay boarded up in your dwelling, hiding from other people. Work with other civic-minded people to reduce crime and dispel the loneliness. Not expecting help makes you feel lonely. When you don’t know people nearby, you don’t expect them to help you. People who have close relationships with those around them feel safer and are less likely to feel lonely. In crowded areas, people are often reluctant to help those around them. When there are many people present everyone tends to think someone else will take care of it. The result of this thinking is that when everyone expects someone else to help no one may act. Not feeling safe where you live can make you lonely. Lack of safety, feeling at risk and vulnerable increases your isolation and loneliness. People who feel unsafe barricade themselves behind locked doors. Being afraid to leave the house makes you lonely. Fear isolates people. As your fear of leaving your house increases, you will feel a corresponding increase in loneliness. People in poor, crowded, environments, become increasingly lonely because they try to avoid contact with others who they fear will harm them. Not feeling safe has resulted in a generation of kids who grow up playing in their homes, connecting only with electronics because their parents are afraid to let them go outside. People who are afraid to go walking after dark experience an increase in loneliness. Have you noticed the news stories about a group of people who all go walking together after dark? The premise here is that people’s fear of leaving their homes after dark increases their loneliness and increases isolation, and turns the streets over to people out to harm others. If you live in a neighborhood was well-lit streets and have a busy shopping area close to your home are more likely to go out at night. When you must travel long distances, alone in your car, to connect with other people are likely to stay home and feel lonely. What do you do if where you live makes you feel lonely? The greatest cure for loneliness is human connections. Get to know your neighbors. Enlarge your social network. For some people moving to another neighborhood where they feel safe and accepted is an option. For other people, the solution is to work to change the neighborhood in which you live. Join community groups dedicated to making your neighborhood safer and a better environment. Make friends and be a friend. Loneliness, the feeling, tells you that you need more human connection. Increasing your social connections will help you overcome that feeling of loneliness. David Joel Miller MS is a Licensed Marriage and Family Therapist (LMFT) and a Licensed Professional Clinical Counselor (LPCC.) Mr. Miller provides supervision for beginning counselors and therapists and teaches at the local college in the Substance Abuse Counseling program. Three David Joel Miller Books are available now! Sasquatch. Wandering through a hole in time, they encounter Sasquatch. Can they survive? The guests had come to Meditation Mountain to find themselves. Trapped in the Menhirs during a sudden desert storm, two guests move through a porthole in time and encounter long extinct monsters. They want to get back to their own time, but the Sasquatch intends to kill them. Books are now available on Amazon, Kobo, iBooks, Barnes & Noble, and many other online stores. For more about David Joel Miller and my work in the areas of mental health, substance abuse, and Co-occurring disorders see my Facebook author’s page, davidjoelmillerwriter. If you are in the Fresno California area, information about my private practice is at counselorfresno.com.